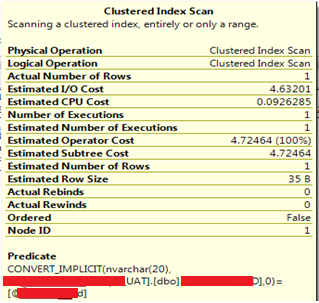 Below query gives the SQL Server Start time and Up time details. Unable to connect to the server that is specified in the URL,'http://<servername>/<ReportServer>'. Make sure the server is running, the URL is correct, and you have permission to use the server. Make sure that the SQL Server Version is SQL Server 2008 R2 as Report Builder 3.0 does not support SQL Server 2008 or below. 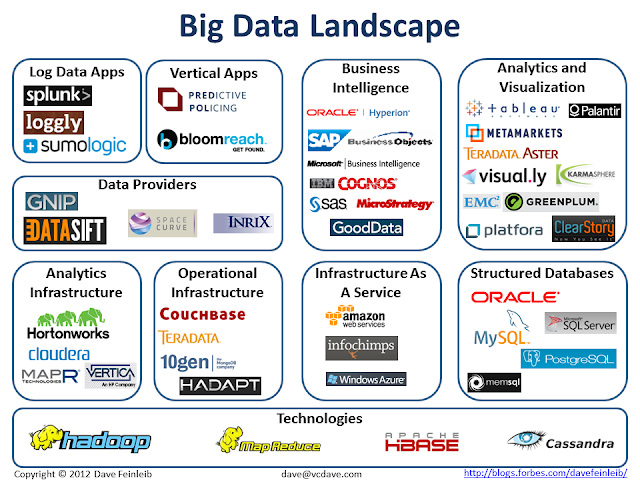 Big Data is definitely big buzz happening currently. Below is the landscape of the same, very neatly collated by Dave Feinleib (Forbes). What is .TUF file? What is the significance of the same? Any implications if the file is deleted? .TUF file is the Transaction Undo File, which is created when performing log shipping to a server in Standby mode. When the database is in Standby mode the database recovery happens when the log is restored; and this mode also creates a file on destination server with .TUF extension which is the transaction undo file. This file contains information on all modifications performed at the time backup is taken. The file plays a important role in Standby mode... the reason being very obvious while restoring the log backup all uncommitted transactions are recorded to the undo file with only committed transactions written to disk which enables the users to read the database. So when we restore next transaction log backup; SQL Server will fetch all the uncommitted transactions from undo file and check with the new transaction log backup whether committed or not. If found to be committed the transactions will be written to disk else it will be stored in undo file until it gets committed or rolled back. So... that's it for now! Happy Reading!! If you have servers which hosts database mirroring and you want to install the service pack on those systems and you are trying to find out the order in which you need to do it then, here is the order in which you need to install service pack or a hotfix on the systems which hosts Database Mirroring. For more information refer to the following article to know the entire process for upgrading both the principal and mirror servers. I had recently installed SQL Server 2012 AKA Denali CTP version on my system and when I tried to start the SQL Server agent, The agent was starting and was immediately getting stopped by displaying the below message. When I investigated further, I found the below error message from the event viewer. I got this working by changing the Log on account of SQL server agent from "NT SERVICE\SQLServerAgent" to "Local System" or a domain account. When we run the below command, it Closes the current error log file and cycles the error log extension numbers just like a server restart. When we run the below command, it Closes the current SQL Server Agent error log file and cycles the SQL Server Agent error log extension numbers just like a server restart.